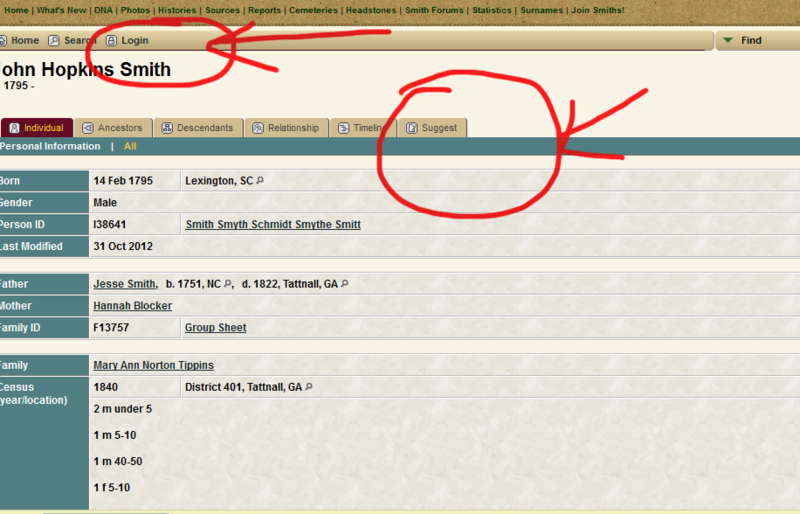 If you have editing rights to a person or a family (and you are logged on) , you will see, on the page an EDIT link. 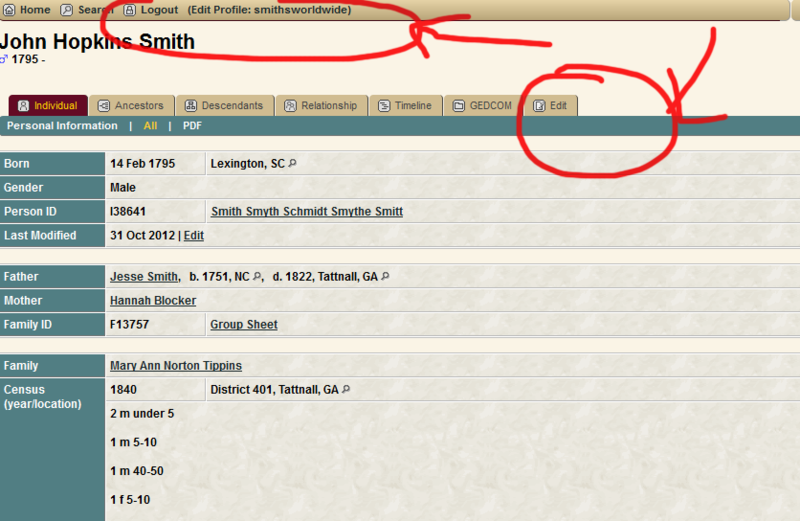 The link to EDIT a person is in the first block of information (birth, gender, death, etc by LAST MODIFIED). If you do not see the EDIT link, it either means that you are not logged on or that you do not have editing rights to this person. Another clue that this is so is that you will see SUGGEST in the menu tab below the person’s name, meaning that anyone can offer suggestions on changes or additional information, but those changes must be approved first.If you have editing rights to the FAMILY (assuming that there is a family created for the person), you will see EDIT in the block that starts with FAMILY, CHILDREN, LAST MODIFIED, Family ID. 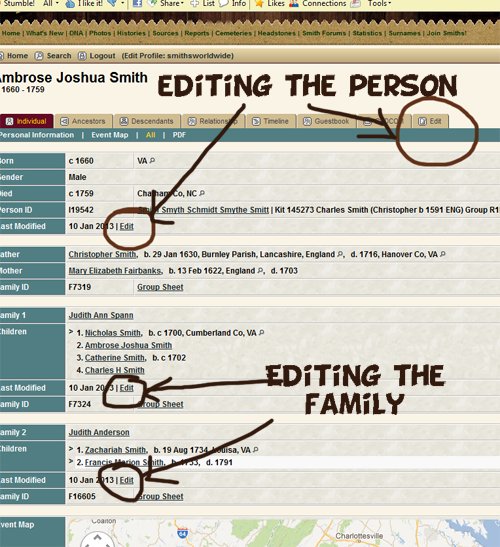 If you do not see EDIT, it either means that you are not logged on or that you do not have editing rights to this family. notice on the pic below that the person is LOGGED ON, as indicated in the menu at top, and then, BECAUSE that person is logged on, he or she will see EDIT. If you are NOT logged on, you will see THIS.